From leading the UX Design Workshop in Portland, to designing the initial interface explorations, mapping the user journey to accommodate different levels of product offering, reviewing user testing and research from Nike's internal research group, partnering with a visual designer, and iterating on the UI. 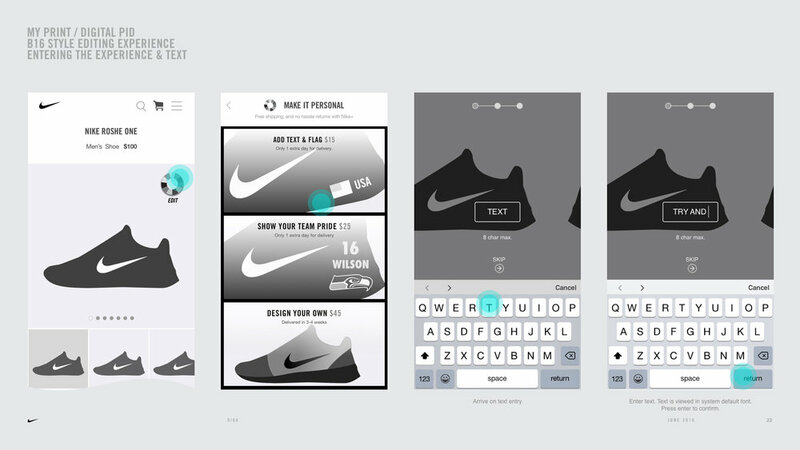 Design a service to gives shoppers the power to apply words, icons or emojis to their shoes before buying them. 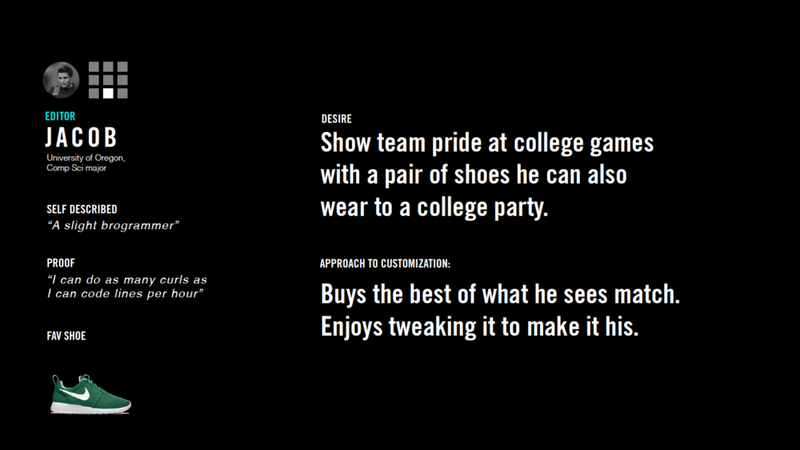 This level of mass personalization lets Nike charge an additional premium with incremental additional manufacturing. Key stakeholder meeting to understand the manufacturing and additive personalization process at Nike World Head Quarters. 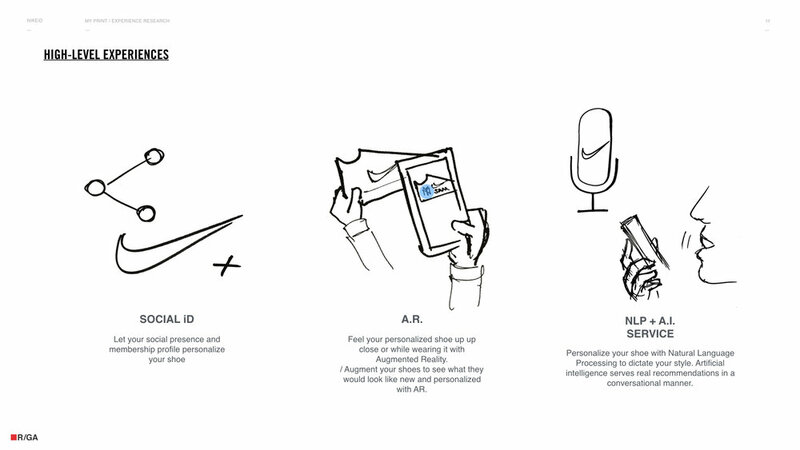 Design a personalization experience for a range of personas. Each of who have different mindsets for the shoe they want to own. 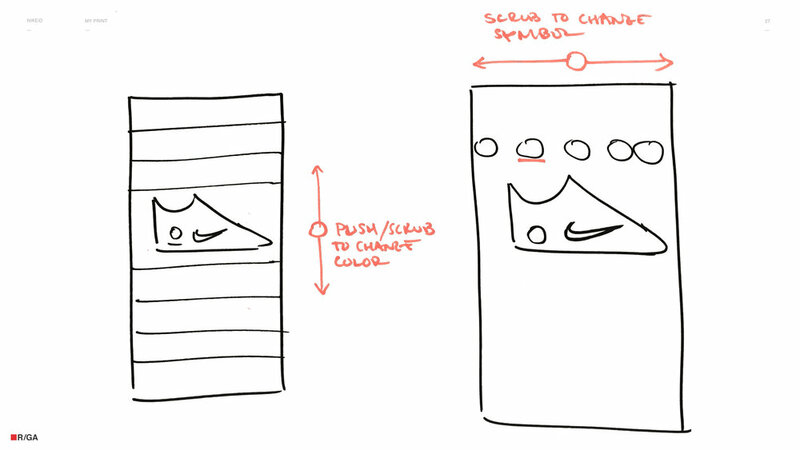 This showcases the iterated interface applied to a simple shoe and a more premium shoe. Applied to a mainstay shoe, the Roshe. 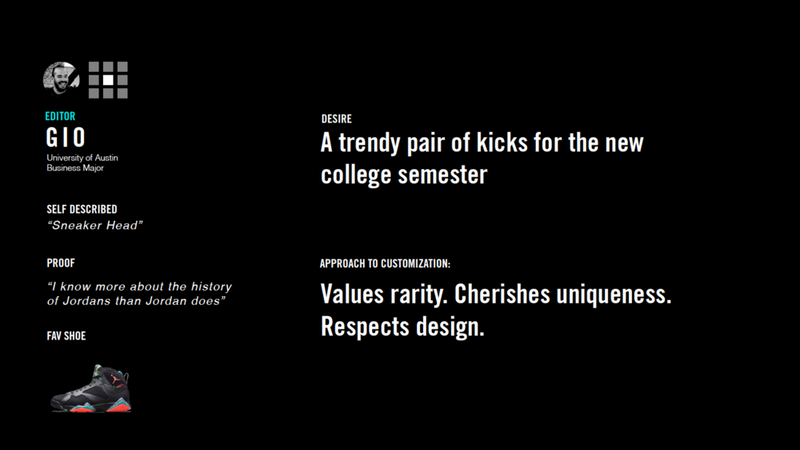 This experience starts with a blank shoe that users can personalize with their name and an icon such as a flag or logo. Applied to a "Game Day" shoe. With so many options to personalize, this premium version is a reductive editing experience. First offering users a fully edited shoe with each option filled out they can then personalize the individual aspects of the shoe. Presented the second generation flow of mobile and desktop to Nike Brand Design Team on location at Nike World Head Quarters. 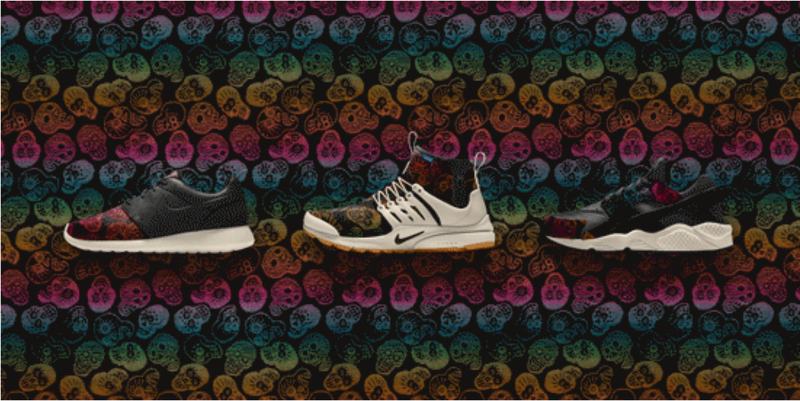 This work lead to a further NIKEiD projects that was the biggest revenue driver of the season. . Gaining beyond a 20% y-o-y increase by generating $2M (13.3k units) in sales.